"Dunwoody has re-written the rulebook on how to craft a sequel...[Empire's End] should put David Dunwoody on the list of great zombie authors. Read this book." "Most creative imagination in horror." "The reaper is a unique take on zombie fiction and [Dunwoody's] prose is entertaining...Both are great books." "Great gruesome zombie tale from start to finish!" "A powerful new chapter in an epic series of zombie thrillers. Endlessly entertaining." "More than just a solid sequel to an excellent zombie novel; it surpasses its predecessor with a deeper look into a world filled with dark magic and vivid characters, both living and dead. Dunwoody manages to make Death a sympathetic character and his zombies are some of the scariest around." "Everything a sequel should be--bigger, faster, gorier, and the zombie characters are the creepiest yet. It's a fantastic return for the Reaper." "Let the Reaper be your guide in this epic entry in the Empire series. 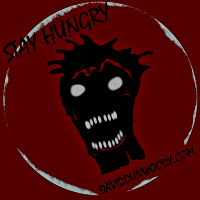 David Dunwoody once again delivers the goods with this post apocalyptic masterpiece." Check out AudioBookReviewer.com and be sure to check out the banners at the bottom of this page!